The study comes as the retail industry is trying to figure out the shopping behavior of teens, who are often referred to as Gen Z consumers, born between 1997 and 2012. Piper Jaffray has estimated teenagers accounted for more than $75 billion in spending power at the end of last year, with roughly a quarter of the U.S. population under 20 years old. As this budding group of consumers opens up its wallet even wider, it’s an important one for retailers to target if they want to stay ahead and keep growing. 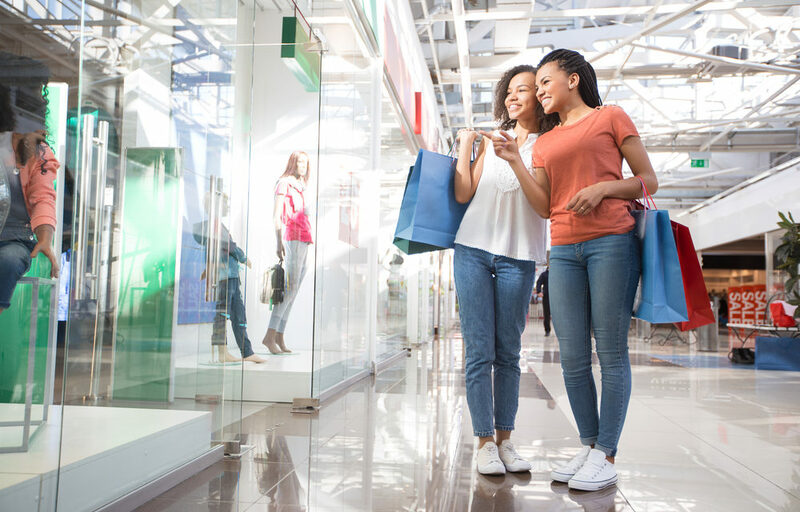 In addition to uncovering teens’ top shopping destinations, Piper Jaffray found 83% of teens have an iPhone, meaning many of them are shopping straight from a mobile device. Males are spending more money on food, while females are spending on clothing. And half the group said Amazon, not Walmart, Macy’s or Target, was their favorite website for shopping. On Piper Jaffray’s survey this year, Lululemon is listed as one of the top 10 apparel brands among teens (coming in at No. 8) for the first time. The leggings maker also surpassed Adidas to become the No. 2 preferred athletic apparel brand, behind Nike. Among what Piper Jaffray describes as “upper-income teens,” the top brands no longer being worn this spring include Under Armour, Gap, Justice and Aeropostale.